Ball, Georgiana. "Bella Coola (BC)". The Canadian Encyclopedia, 18 December 2016, Historica Canada. https://www.thecanadianencyclopedia.ca/en/article/bella-coola-bc. Accessed 24 April 2019. Bella Coola, BC, Unincorporated Place, population 95 (2011c), 135 (2006c). Bella Coola is a small community situated on the north arm of Burke Channel, where Alexander Mackenzie first sighted the Pacific in 1793. Adjacent to the community is the Bella Coola Indian reserve (population 788, 2006c) of the Nuxalk people, the original inhabitants of the Bella Coola Valley. The first non-native settlers were fur traders, arriving during the 1860s. In 1894-95, some 220 Norwegians, chiefly from Minnesota, settled in the valley where they and the indigenous Nuxalk (Bella Coola) were soon joined by other settlers in the development of a mixed farming and fishing economy. Fish canneries formerly operated here. The community has a diverse economic structure as a logging, sawmilling and mixed-farming centre, and as a commercial and sportfishing base. Bella Coola Information about the community of Bella Coola, located on British Columbia's Central Coast. 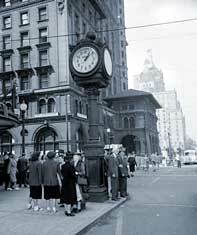 Check out the BC Archives link for a selection of historical photographs of the region.